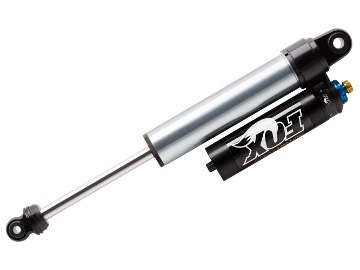 Fox 2.5 4-Tube Piggyback Bypass Shocks provide improved dampening and control over traditional shocks. 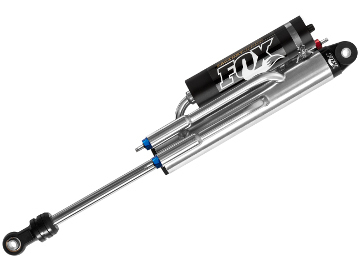 2.5 Fox Bypass Shocks reduce harshness by adding four external bypass tubes which allow free-flow around the piston. The Fox 2.5 4-Tube Bypass Shocks feature two compression tubes and two rebound tubes for control in both directions and a smoother transition into the bump zone. The 2.5 Fox Piggyback Bypass Shocks provide a nice package for easier than other reservoir configurations. Upgrade to pre-tuned Fox 2.5 Bypass Shocks from AccuTune Off-Road today. AccuTune Off-Road delivers the best performing Fox 2.5 4-Tube Bypass Shocks because of our experience and AccuTune Equations. The combination of our new techniques and highly accurate equations result in Fox 2.5 4-Tube Bypass Shocks that substantially outperform the factory valving and semi-tuned valving sold by our competitors. With Fox 2.5 Bypass Shocks from AccuTune Off-Road your ride will be more comfortable and more controllable no matter what terrain you're on. Our 2.5 Fox Piggy Back Bypass Shocks come with free custom tuning, and free disk swapping or a free re-valve. 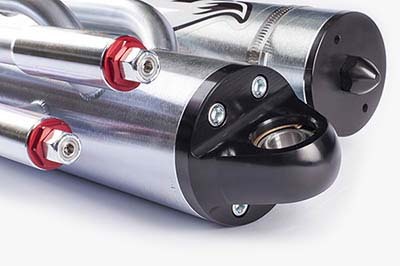 When you want the best Fox 2.5 Piggy Back Bypass Shocks look no further than AccuTune Off-Road. 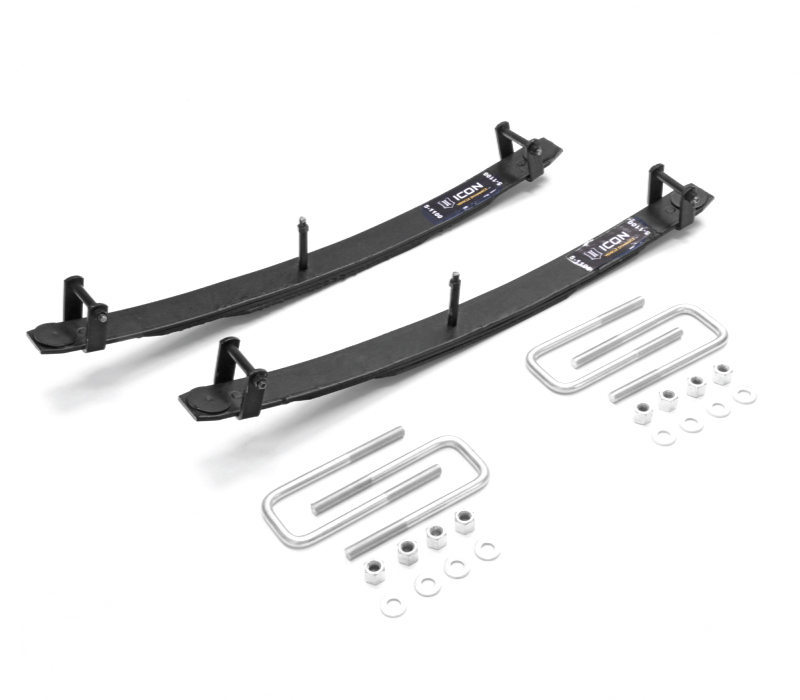 Fox 2.5 4-Tube bypasses are great for use on full size trucks and buggies. The large 2.5 diameter bypass shocks make enough damping and contain enough oil to provide the performance expected out of vehicles equipped with bypass shocks. 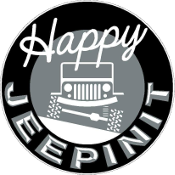 Fox 2.5 4-Tube bypass shocks are a great choice for many vehicles from the front of VW and Sand Rails to Jeeps and PreRunners. Fox 2.5 Piggyback Bypass shocks come with a hard mounted reservoir and rotating cap that allows the bypass tubes to spin 360 degrees for extremely easy mounting. The rotating cap also makes replacement tubes simpler and less expensive because they aren't eyelet specific like other brands. By having a bottom mounted reservoir these Fox 2.5 Bypass shocks are much less likely to cavitate than a top mounted reservoir. 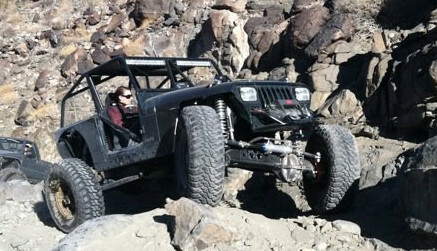 When performance and fitment matter look no further than Fox 2.5 Rotating Piggy Back Bypass Shocks. Fox 2.5 4-Tube Bypass Shocks feature two compression and two rebound tubes with new style adjusters that click into place for more precise tuning. The result is a shock with a soft ride zone and firm control zones. In the soft ride zone oil is able to flow around the piston through the bypass tubes. As the Fox 2.5 Bypass piston leaves the ride zone oil is no longer able to flow around the piston and the shock gets much stiffer, resulting in more control on big hits. The addition of the extra rebound tube further improves performance on small bumps in the ride zone by allowing the wheel to move extremely freely. 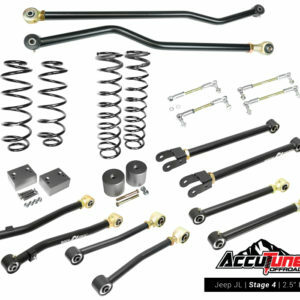 For the ultimate in performance and comfort check out pre-tuned Fox 2.5 4-Tube Bypass Shocks from AccuTune Off-Road. Fox 2.5 Factory Series Bypass Shocks are most durable Bypass Shocks on the market due to their premium components. The primary cause of leaking Bypass Shocks are damaged piston rods as a result of flying debris which dents the rods, chips the chrome and creates opportunities for rust. Fox 2.5 4-Tube Bypass Shocks use stainless steel piston rods that are twice as strong, twice as hard, and substantially more durable than competitors. Industry leading piston rods, combined with premium oil, viton seals, and a high flow piston make Fox 2.5 4-Tube Bypass shocks the industry leader. Fox 2.5 Bypass Shocks have dominated the top levels of professional racing for decades by providing quality and performance that racers rely on. The same meticulous attention to detail, rugged construction and technically advanced suspension damping is applied to every Fox 2.5 Piggyback Bypass Shock. Leave the pavement behind with total confidence, and find out just how good your truck or buggy can be. Experience the ride you’ve been dreaming of with a set of Fox 2.5 Quadrule Bypass shocks from AccuTune Off-Road.